“We are really happy with the peninsula table settings we have recently put in. 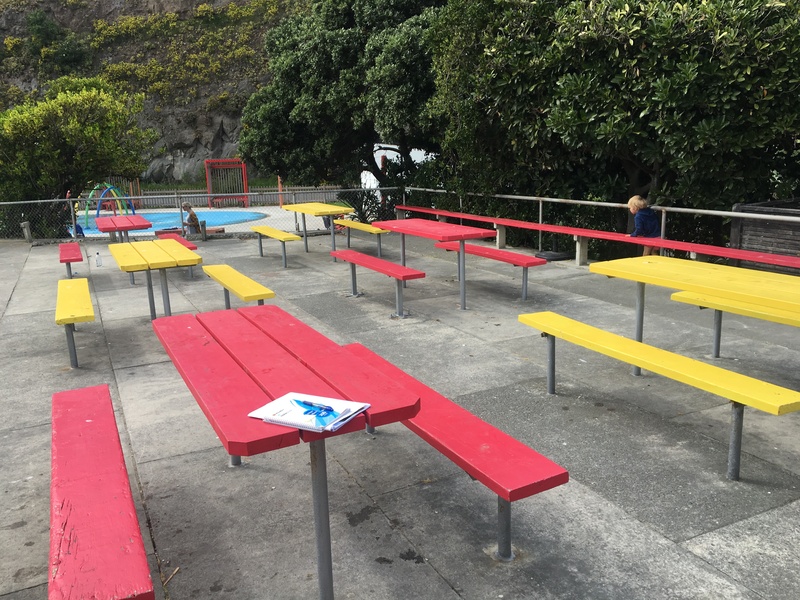 They look really good and the colour works really well with the environment around them,” says Marcy McCallum, Parks Project Manager for Christchurch City Council in New Zealand. Using Replas recycled plastic profiles, Marcy and her team have created table setting on steel frames. “The cafe owner is happy as they are easy for her to keep clean,” continued Marcy. Recycled plastic profiles come in a huge range of colours, widths and lengths and are available in either rectangular or square options. 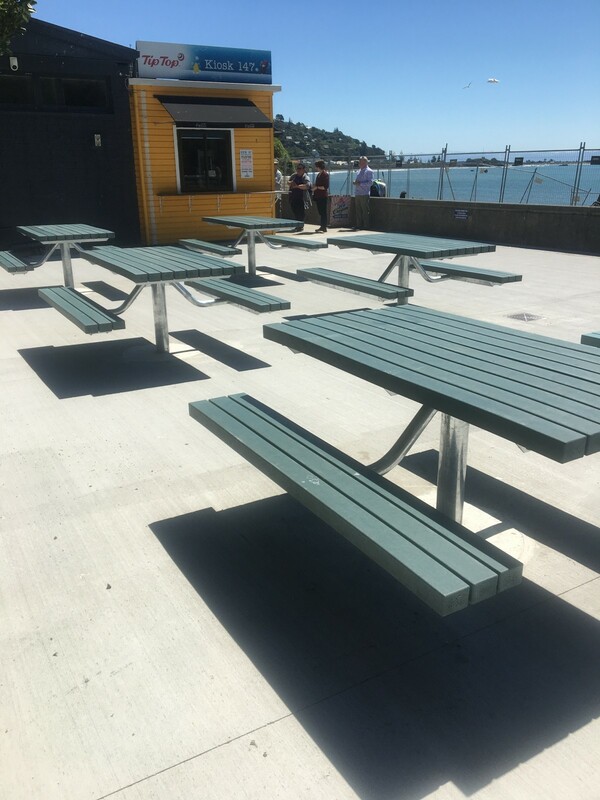 “We only have a very limited furniture renewal budget each year,” says Marcy, “we have been promoting the use of the recycled plastics options wherever we can. 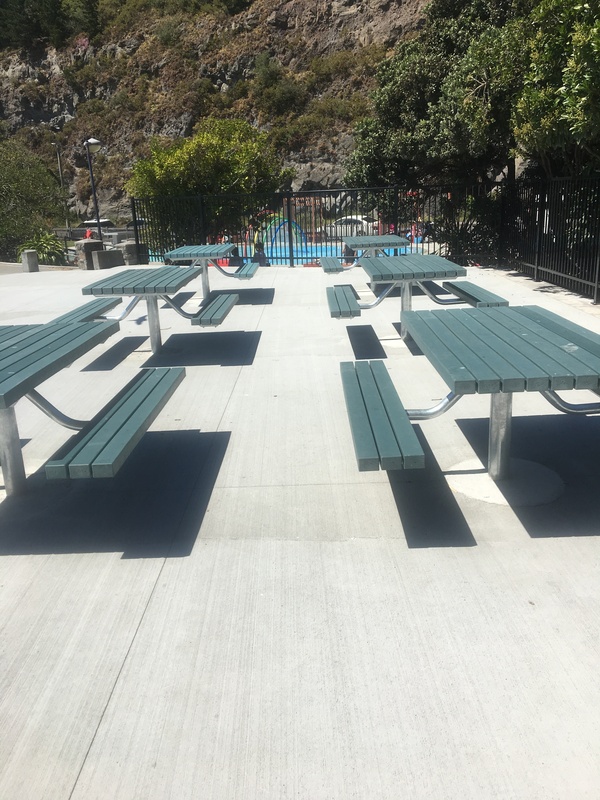 I like the peninsula series picnic tables as they are similar to other options we use and we are trying to make sure that any new furniture, particularly table settings, are accessible for people in wheelchairs and we prefer the more modern styles you have,” concluded Marcy. A great addition and alternative to the old rotted timber originally in this space, great job Christchurch City Council!